1.3.2 So What Do I Need To Do In SEO Now? SEO is one of those things in marketing that changes all the time but also stays the same year in and year out. Sure, there are always changes being made by company’s like Google as they try to figure-out how to combat spam and more. 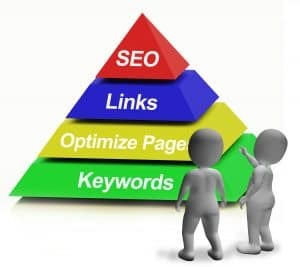 But, one thing is certain and that is the future of search engine optimization is always uncertain. While using seo is one of the hardest tactics to use in online marketing, it can also be the most rewarding and for a few reasons. One is, it can take a long time to get going to get anywhere with it. Sometimes you have to have hundreds of pages before your blog will get any notice or Google love. Also, you have to create tons of quality content to make it worth anything. And many people do not want to write day in and day out. But either way lets cover a little more on the future of search. One thing is for certain and that is, Google is always looking for ways to serve their users better. Now the hard part to swallow here for an affiliate marketer is Google doesn,t really care about your website. What they care about is making sure their users find what they are looking for. And sometimes this means not even using something from your website and using something from Googles database. So, if you rely on SEO as your number one tactic for online marketing you better always have a back up plan. Because you will always see companies like Google testing things out to help support their users better. So, one thing you want to always consider is how Google will change things and try to leave yourself with a way to adapt. Until they figure other ways to not use links, Search engines will always be on the look out for spam. Also more and more people everyday are inventing new ways to try and game Google so they must adapt also and learn how to stop it. Mobile search has come a long way and so much so that Google has put it into the spotlight for all to see. But what’s interesting is there will most likely be new and different mobile devices coming in the future we can’t even think of yet. It is these new devices that we need to be on the look out for. Remember Blackberry and then all of a sudden came the iPhone? As you can see when you look at a SERP in Google, especially for local search, you can see things broken up into the knowledge graph, local listings, news and more. One thing you should be aware of is, Google keeps on testing and may add new things from time to time to better help their users. You can count on the fact that Google will always be updating and releasing new algorithms within their search engine just about every single month. They have to try and get rid of search spam and try to make things better for users. Plus they will continue to evolve more and more always refining their process. You can bet that, if someone is trying to game Google they will release an update for it. You cannot forget Yahoo and Bing. Yahoo has been around since 1995 and surely they gave way to Google because they just didn’t have it in them to beat Google. But one player is Bing. Bing just might come out of nowhere and rule the land such as they have in the past. But only time will tell. Besides Bings results aren’t really too bad these days. Affiliate Marketing is on the rise for search as more and more people are making websites to be found in Google. So this is where you need to keep an watchful eye. The American FTC is always looking out for people are not being truthful with their marketing practices. So let’s say you have an affiliate website and you sell products from Amazon. It’s a rule now where you need to disclose you are an affiliate getting paid an endorsement for recommending a product. This all came about because people were misrepresenting who they were and if they were selling things. Some websites have been taken down and the owner’s of the business were fined because they did not disclose who they were and what they sold. So don’t make this same mistake, because search engines like Google will be very soon to follow and make sure webmasters are complying with these rules. So What Do I Need To Do In SEO Now? Well, SEO has already changed. It used to be where webmasters would find keywords and just go right down the line with what keywords they found. So, they would create pages for widgets, red, widgets, blue widgets, green widgets and so on. But these days, what you want to do is cover more topics so all the keywords you find would essentially fit to one page. So, in the case of the widgets example you would have all of the other color widgets also on the same one page under headings and not in separate pages of their own. A good amount of this can be covered in this video from SEMRush and Moz.